I know, I say this all the time, but it’s worth repeating for quite a few of the books you’ll see reviews for in the next bit: I don’t keep track of where I got a book recommendation from, or what genre the book is, and I definitely don’t read reviews beforehand. So I didn’t know that this was a zombie book. Wait, wait! Now that we’ve got that out in the open, let me say, it’s a fascinating, well-written YA dystopian book. Very worth your time. Just…zombies, ok? Hear me out. There’s been a massive plague, society has disintegrated, so far this is typical dystopian stuff. Life expectancy is barely two decades. The main character, Deuce, lives in an enclave of survivors in the underground tunnels of New York. Totally not weird: there are tunnel monsters, or Freaks. Yes, those are zombies. 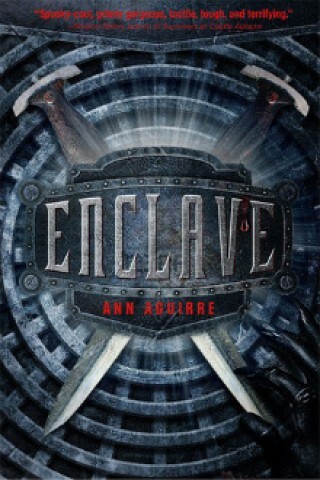 But the way the enclave has structured its little society is fascinating, the story is fast-paced, the characters are interesting. Some post-apocalyptic zombie books where they never say “zombies” are no good. This one, great. Trust me! Jarom just finished World War Z, but he didn’t tell me what he thought. You recommend it though?